Start the fans please! 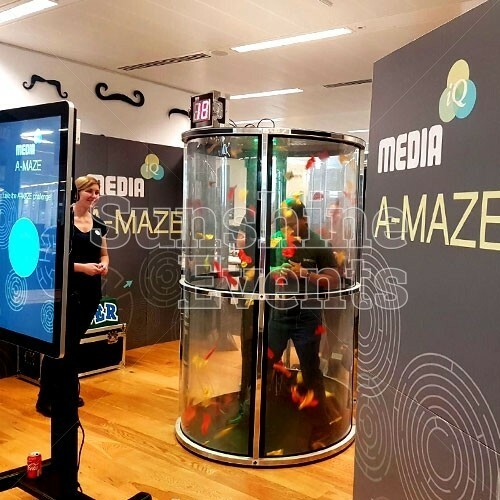 Everyone remembers the final game in the Crystal Maze where contestants are locked into the cubicle and the fans start to blow around the brightly coloured tickets. 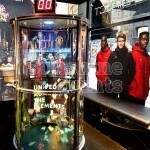 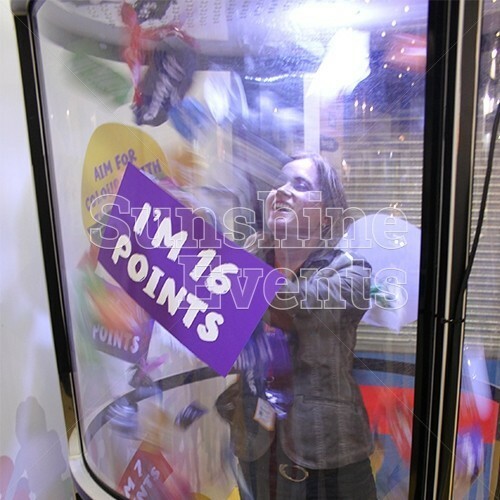 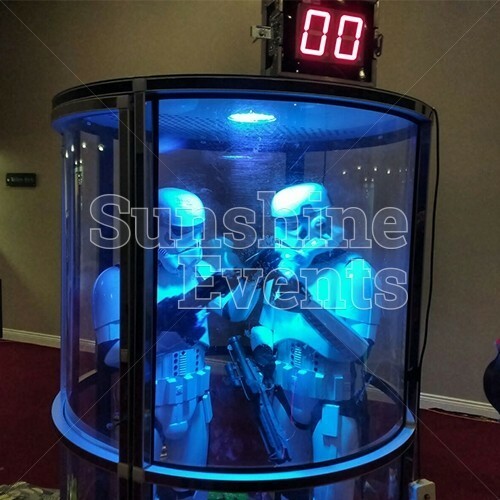 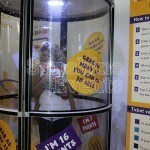 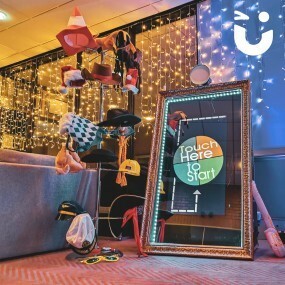 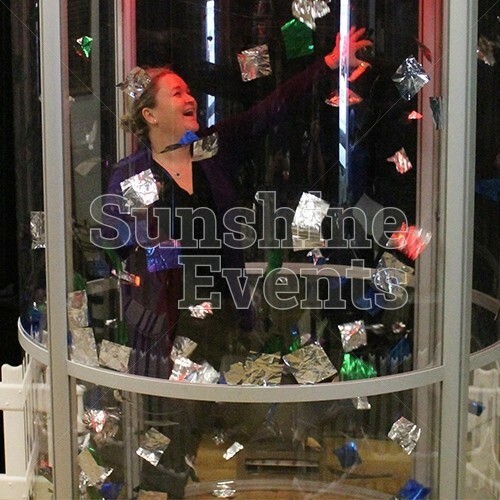 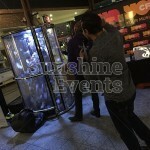 We can bring that same excitement to your event in the form of our amazing Cash Grabber! 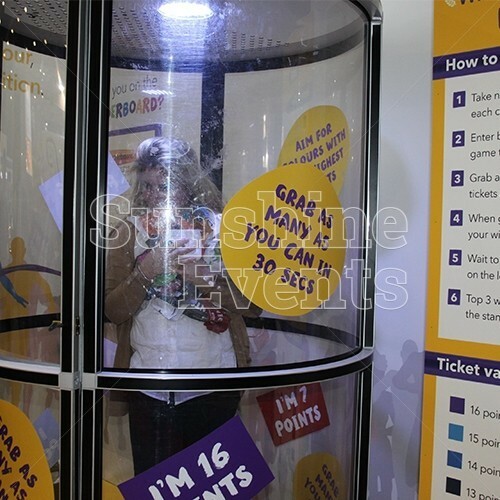 Once you step into the cubicle and the timer starts, it’s down to you to start grabbing as many paper tickets as you can whilst the fan tries to make the task as difficult as possible. 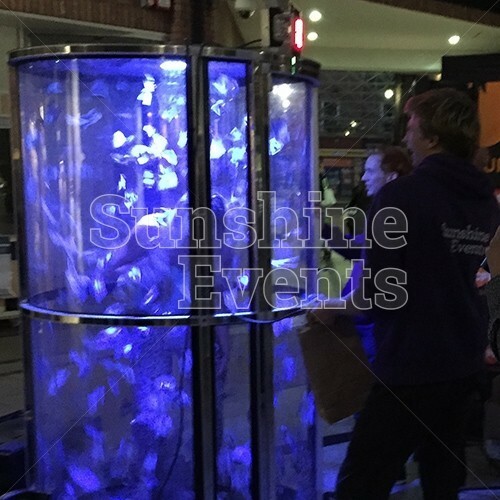 As the lights change colour during the countdown, it gets harder to keep grabbing those flying paper targets, but one thing's sure… it’s a whole lot of fun! 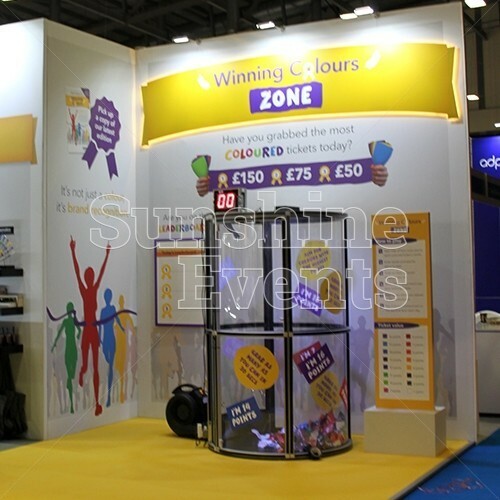 The Cash Grabber is perfect for exhibitions and promotional events, where you need to give the players an opportunity to grab themselves a prize or voucher to promote your company and your brand. 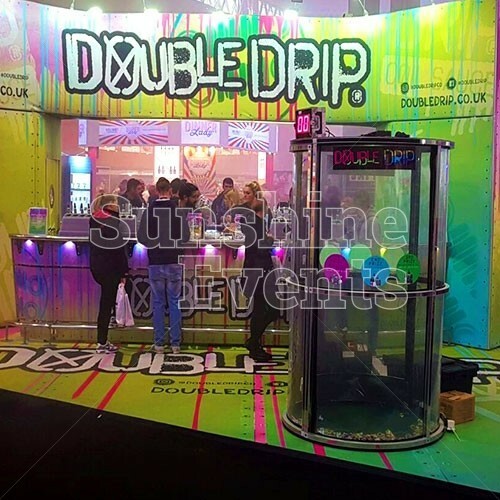 Speaking of which, the Cash Grabber is easily brandable too - from clear vinyl stickers on the booth itself to bespoke branded paper tickets. 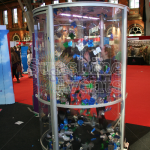 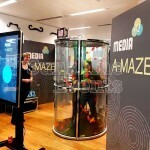 Crystal Maze Challenge – we’ll fill the cylinder with Silver and Gold paper tickets. 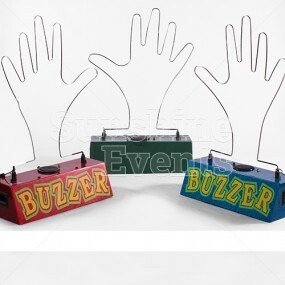 The more you grab the more you score! 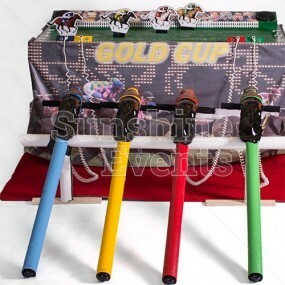 Gold Sticker Seeker – to add a little difficulty, we’ll only add one Gold ticket. 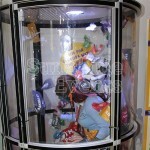 Grab-A-Grand – raise the stakes by adding funny money to the cylinder and watch the player go for it. Voucher Grab – perfect for promotions and exhibitions. 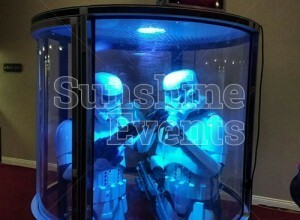 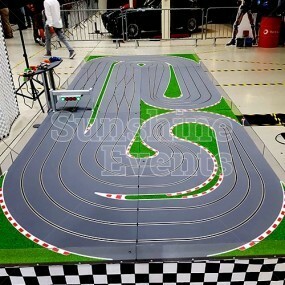 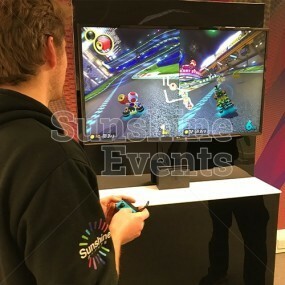 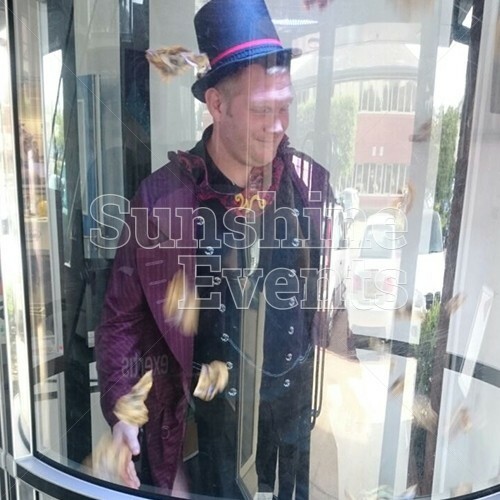 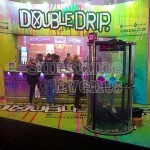 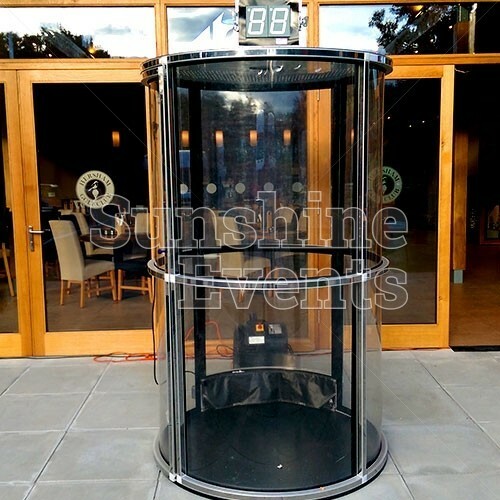 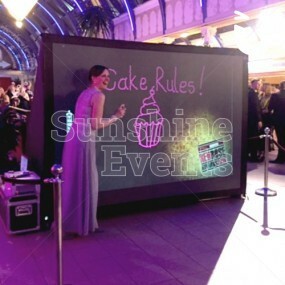 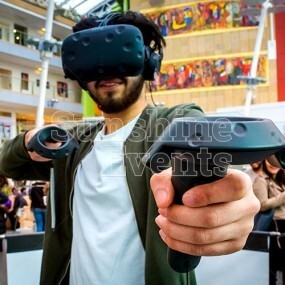 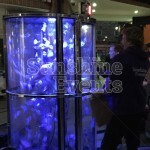 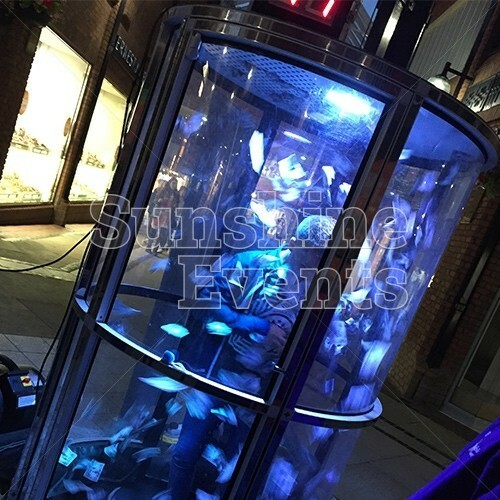 What events is the Cash Grabber Hire suitable for? The Cash Grabber is just the ticket for all kinds of events and can be used as a competition centrepiece or just a cheerful game for all to take part in! We’re not full of hot air - the Cash Grabber is a great addition to an event where you need to add an element of competition and excitement. 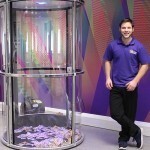 Bespoke branding of the Cash Grabber - we can add vinyl stickering to the external of the Cash Grabber or brand complete panels, adding a massive eye catching detail to this great product. 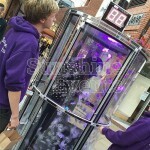 Using the Cash Grabber captivated our audience once again. 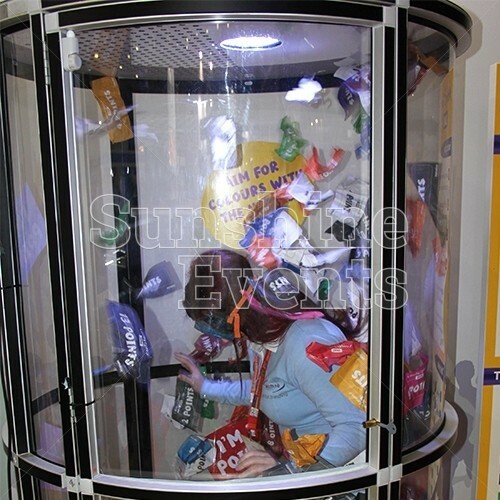 It's the fourth time I have used it and it never fails to entertain visitors. 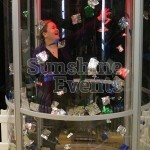 The Cash Grabber added a fun element to our exhibition and really helped draw a crowd. 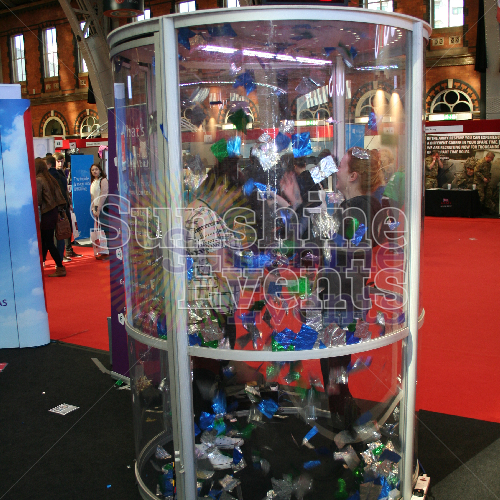 The Cash Grabber became a definite focal point, not only of our stand but of the entire expo! 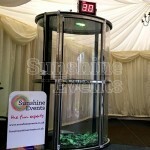 Cash Grabber Cylinder Hire has been added to your Event Quote.